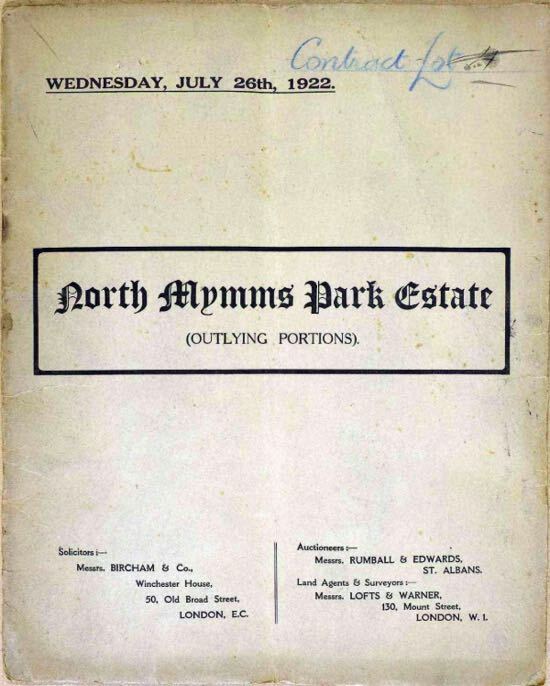 At 4pm on Wednesday the 26th of July, 1922, 800 acres of North Mymms Park went under the auctioneer's hammer. Twenty lots were up for sale, including farms, land, and cottages. 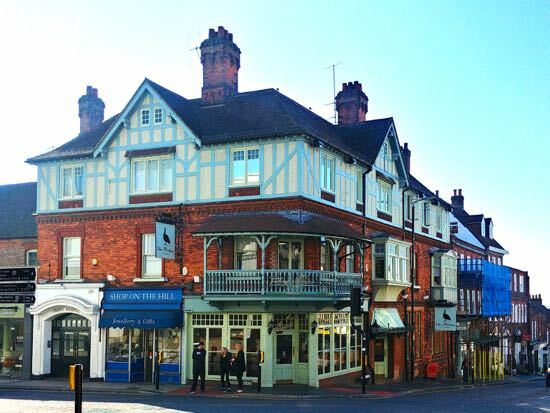 A 15-page sales brochure featuring some of the biggest farms in the parish was produced for the event, held at the Peahen Hotel in St Albans. The North Mymms History Project has been loaned a copy of the sales details which we have digitised and included below. Among the biggest lots were Tollgate Farm - 225 acres, Potterells Farm - 177 acres, Puttocks Farm - 65 acres, Colney Heath Farm - 51 acres, Marshmoor Farm - 22 acres, and Welham Green Farm - 21 acres. You can scroll through the pdf of the brochure (below) or use the 'Pop Out' button top right to view it in full screen mode. You can then download a copy to keep or print. Below the brochure is an embedded pdf of the map that accompanied the brochure. The map can also be expanded and you can zoom in. 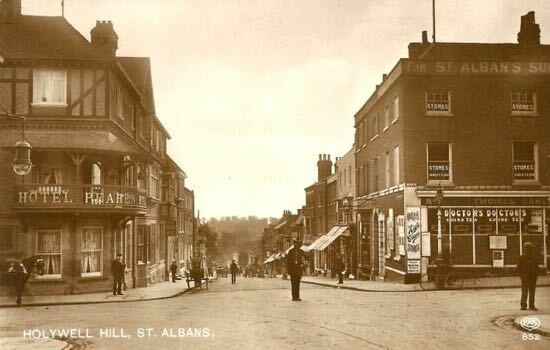 This site would like to thank local resident, Lindsay Sinclair, for contacting the North Mymms History Project and letting us borrow the brochure to scan and make available for all to see. Thanks, too, to Mike Allen, one of the team of four responsible for this site, for producing high-quality scans of the pages and putting them in a low-resolution pdf to share on the site.